1.Soak tamarind in hot water.Chop all the vegetables in to small pieces as shown in the picture. 2.Heat oil in a pan crackle mustard seeds,add channa dal and let it brown,add onions,green chilli,ginger and curry leaves and fry. 3.After a minute add chopped tomatoes,chopped brinjal,turmeric powder and salt.Give it a stir and cover and cook for few minutes. 3.Mean while extract the tamarind water from the soaked tamarind three times and keep it ready. 4.Once the vegetables are cooked mash it with the backside of the laddle so that it comes together. 5.Add Tamarind water and allow it to boil.when it is boiling add jaggery. 6.Mix one tsp rice flour with a little water to make a watery paste and add t to the gothsu so that it thickens a bit. 7.Add chopped coriander leaves and mix well. 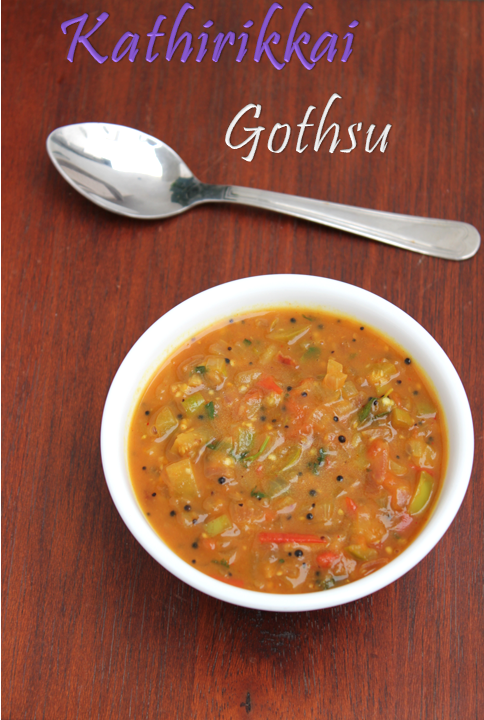 Enjoy hot gothsu as an accompaniment for idli,dosa or arisi upma. 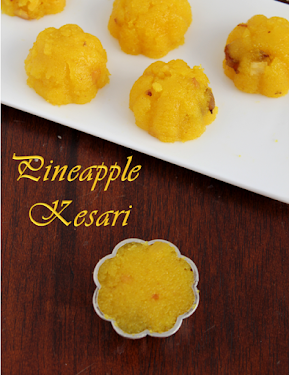 You can add a pinch of asafoetida if you prefer.Ido not add if i use onions. 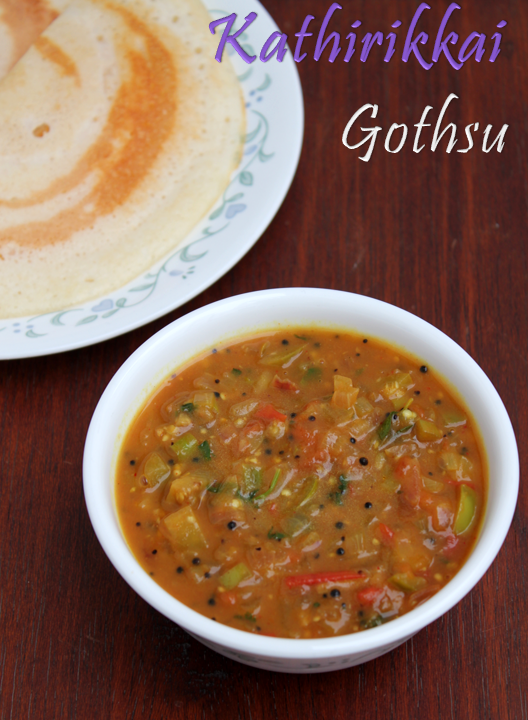 If you prefer spicy gothsu avoid the jaggery and add the amount of green chilli and ginger. When you are making large quantities you can roast channa dal,coriander seeds,red chillies and a little pepper,powder it and add it to the gothsu.